Start today listing and selling businesses. Develop your practice fast, economically, and with total confidence. Real Estate Brokers expand your practice. 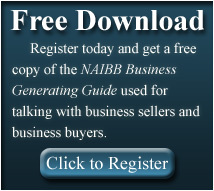 Register and start with a FREE copy of the NAIBB Business Generating Guide. A professional flip chart guide which can be used for previewing the process of profiling and selling a business. This guide sets you apart from other brokers. It gives you the opportunity to position yourself as a professional business broker to discuss "Accomplishment Fees", and introduce vital "Profiling Services." Continue with the program by purchasing The Proven Secrets to Building or Expanding your Business Transfer Consulting Practice. The business brokerage kit includes everything to learn the science and art of engaging business sellers, profiling listing and selling businesses. 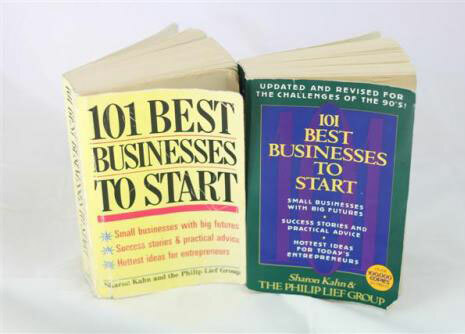 This opportunity has evolved from the original NAIBB Start a Business Brokerage Business as featured for the past 18 years in the DoubleDay book, 101 Best Businesses to Start. Purchase the complete Business Transfer Consulting Start-up program here.